The UC Libraries strategic initiative, DigitizeUC, is working to grow in-house digitization capabilities at UC Libraries into a fully-fledged program. UC Libraries has a long history of digitization and even started a University of Cincinnati Digitial Press in the 1990s. However, we have had limited in-house equipment and relied heavily on grants and local vendors to carry out projects. While grants and vendors are still part of our program, we are beginning to expand our in-house capabilities. Our first purchase is a significant investment that will serve UC Libraries for many years to come. We purchased a PhaseOne Reprographic System from Digital Transitions. This system includes a 60 MP PhaseOne digital back, DT RCam with electronic shutter, Schneider 72 mm lens, and motorized copy stand. This system will allow us to achieve rapid, high-quality digitization workflows and take on mass digitization projects with a high degree of color accuracy. Our second purchase is a high-speed, duplex, automatic-sheet-feed Fujitsu scanner that will help us quickly digitize paper materials from the 20th-century and after. We are currently using it in a project to digitize the Lucy M. Shultz Archive held by the Department of English and Comparative Literature. The archive comprises of high-quality photocopies of 19th-century textbooks and handbooks for English composition and rhetoric. The Digital Collections and Repositories department will be testing this new equipment with pilot projects the rest of this academic year. The DigitizeUC strategic initiative will be proposing a short-term (12-18 months) operations plan for next year that will help us focus our efforts next year and produce digital content. These efforts and investments are aligned with the first and fourth pillars of UC Libraries strategic plan and would not be possible without the support and vision of Dean and University Librarian, Xuemao Wang, and his cabinet. This represents the first step towards a UC Libraries Digital Lab, a strong foundation for our expanding services to support digital scholarship at the University of Cincinnati. 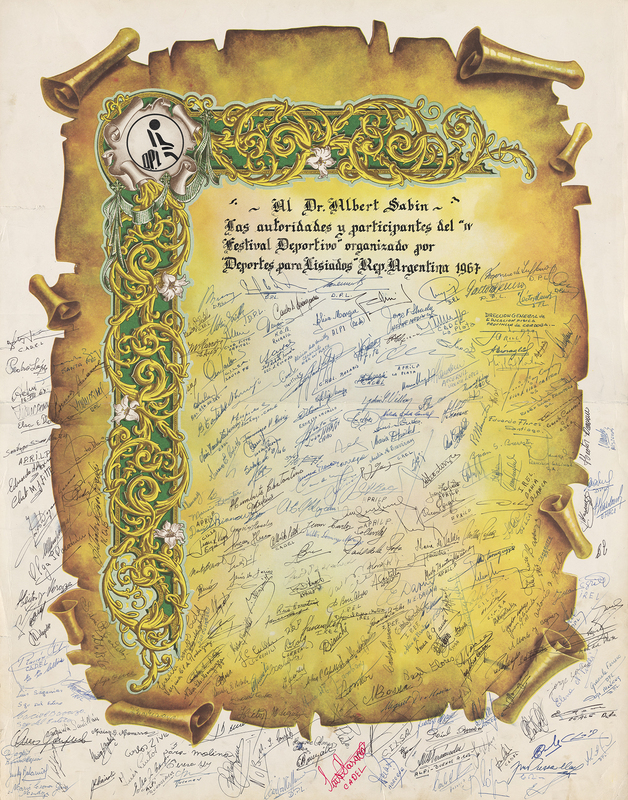 Certificate of appreciation for Albert Sabin from Argentina. 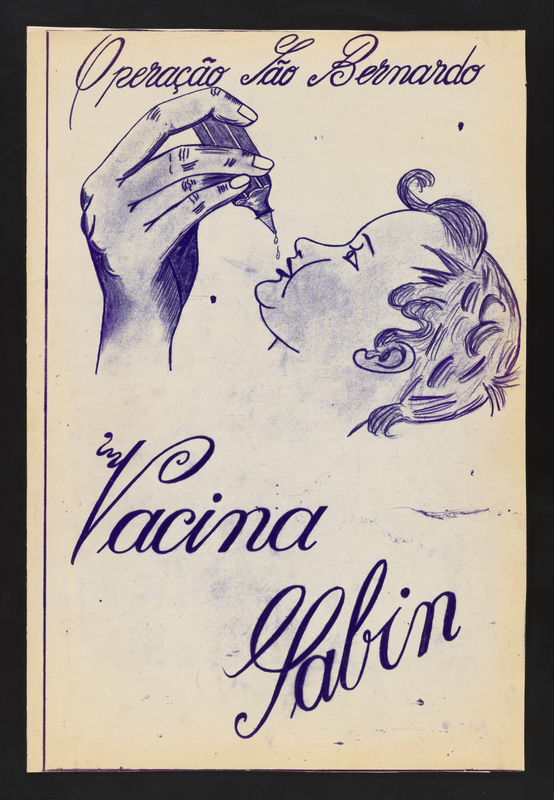 Albert Sabin polio vaccine poster from Latin America. 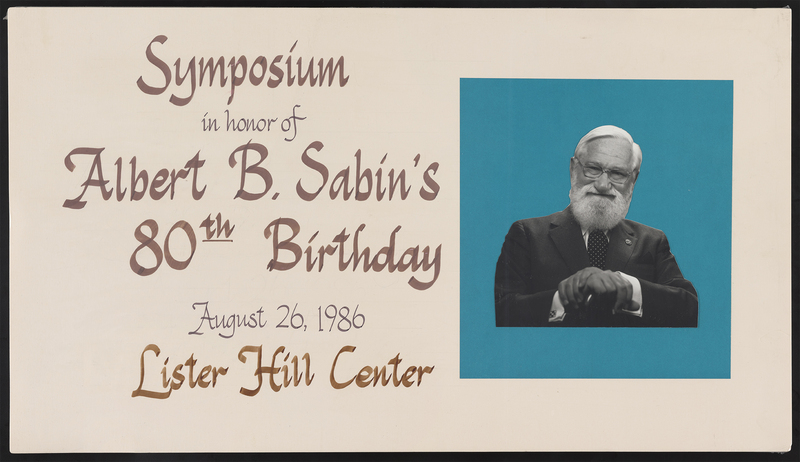 Sign from symposium in honor of Albert Sabin’s birthday. Bad Behavior has blocked 261 access attempts in the last 7 days.